This is personal site I made for my friend Tatyana Deryugina. 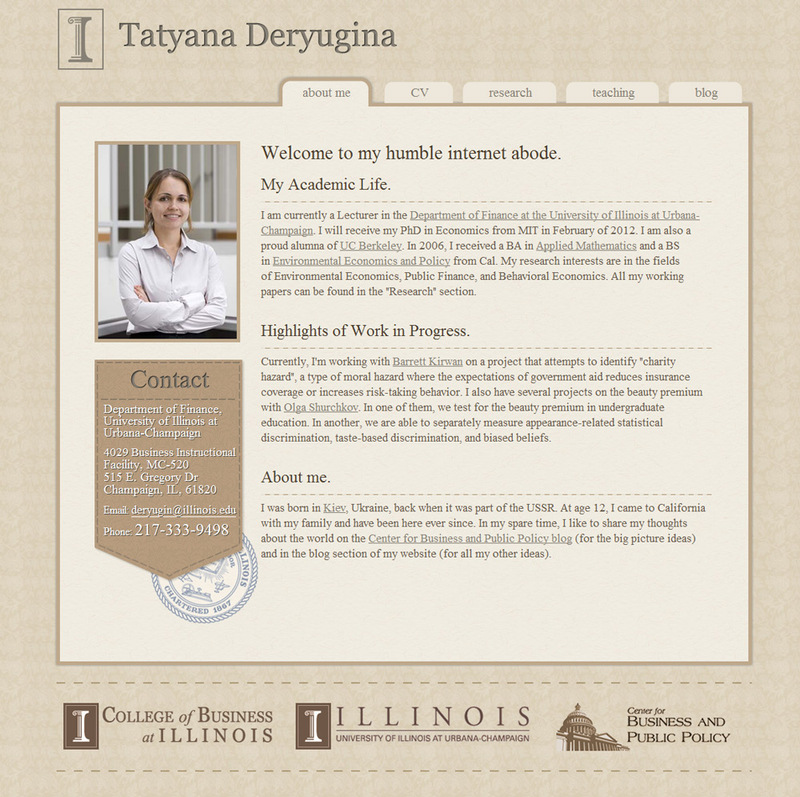 Tatyana is a lecturer in the Department of Finance at the University of Illinois at Urbana-Champaign. 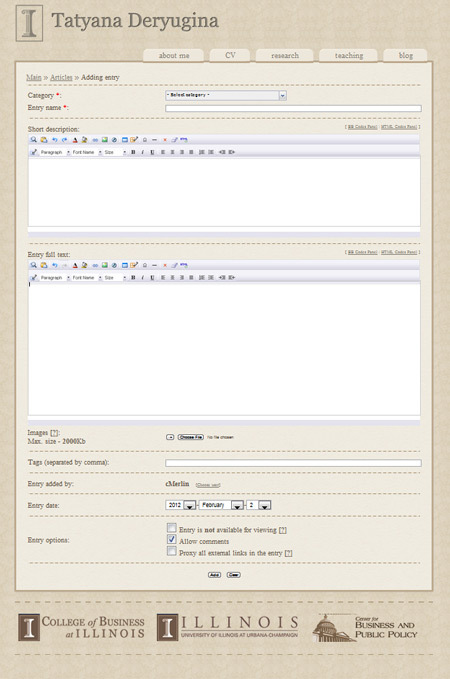 Simple to use website allows to post publications and articles. Clean design will help students and colleagues to keep in touch with her without distraction of social networks.